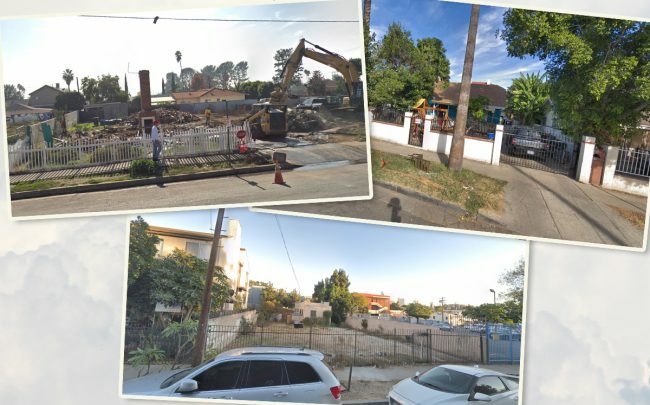 Developers have filed three projects for under 50-unit apartment project in Los Angeles. If approved, they would add a total of 69 apartments to the city’s housing stock. All the projects were filed under the Transit Oriented Communities program. The L.A. initiative is meant to boost affordable housing near transportation hubs by providing incentives to developers of market-rate residential construction. Two of the projects are also in Opportunity Zones: Van Nuys and North Hollywood. The data was compiled from property records on Property Shark. A five-story building is headed to North Hollywood. The project, which fits to code and does not require further entitlements, would include 35 units. As part of the TOC guidelines, three of the 35 units would be set aside for extremely low-income residents. Alan Kleinman, a real estate investor, owns the property, located in an federal Opportunity Zone. He paid $855,000 to acquire the vacant site last July, property records show. An LLC tied to an individual named Michael Welter proposed building a new multifamily complex in Van Nuys. Located at 14629 West Irwin Street, the project would rise four stories and include 16 market-rate and four affordable units. The Tier 2 TOC project is also located in an Opportunity Zone. Welter paid $630,000 for the property in October 2017, records show. He’s seeking density and parking incentives in exchange for the affordable units. In Westlake, Kamram Samooha proposed building a four-story complex with 14 units. The nearly 13,000-square-foot building would feature two affordable units, one for very low-income residents and the other for extremely low-income residents. Acting behind an LLC named Rosemont Villas, Samooha also requested a reduction in the open space requirement as part of the TOC guidelines. He’s owned the site since 2014, when he paid $826,000 for it.